The decision to turn down the appeal over the rejected Corsbie Moor wind farm proposal has been hailed a victory by campaigners. Scottish Government reporter Trevor Croft announced his decision following a public hearing and several visits to the site between Earlston and Lauder where German energy company, E.on, wanted to erect nine 450-foot high turbines. The original proposal was refused unanimously by Scottish Borders Council’s planning committee last September. Mr Croft agreed that the scheme would have had an unacceptable detrimental landscape impact and an unacceptable cumulative impact when taken together with other existing turbine sites. Professor Jack Ponton, chairman of the Lauderdale Preservation Group set up to campaign against E.on’s proposals, says the reporter’s decision vindicates its opposition to the scheme, as well as that of the local authority, four community councils and individual objectors. “Given the track record of reporters, this is astonishing. Something like 80 per cent of wind turbine appeals succeed, and around Lauderdale it’s 100 per cent. 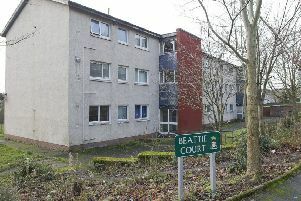 And at the planning committee’s meeting this week, legal adviser Nuala McKinlay said the three appeal results endorsed the decisions the committee “rightly” took and further ratified the crucial work council officers. “It is gratifying that their work has been recognised,” she added. Councillors also praised the efforts of planning officers, landscape architect, archaeologist, legal team and others for the work taken both on the initial planning reports and the subsequent appeal process. Earlier this month, councillors also unanimously refused plans for eight turbines at Brunta, near Spottiswoode – although the firm involved, PNE Wind UK, has now indicated it intends to appeal. But proposals for seven schemes, totalling up to 87 turbines, for sites in or around Lauderdale, are still at various stages in the planning process. In a statement on its website, E.on said it was disappointed with the outcome of the appeal. “We will now review our plans to decide on the best way forward for the project,” it said.